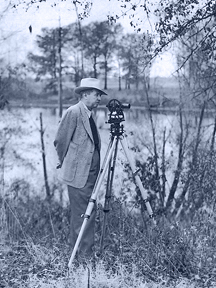 Stanton E. Huey founded the company in 1928 in Monroe, Louisiana, to provide engineering and land surveying services to the rapidly developing region. From power lines and churches to Army tank wash facilities and commercial site work, S. E. Huey Co. has essentially done it all. We’ve worked from coast to coast in a wide array of engineering, architectural and surveying projects. Along the way, we’ve built relationships that serve well as testimonials to the expertise and work ethic on which we pride ourselves. S. E. Huey Co., founded in 1928, is a small business firm in Monroe, LA, that specializes in professional civil engineering, architecture and land surveying. © S. E. Huey Co. . Site Design by Thrive Marketing.